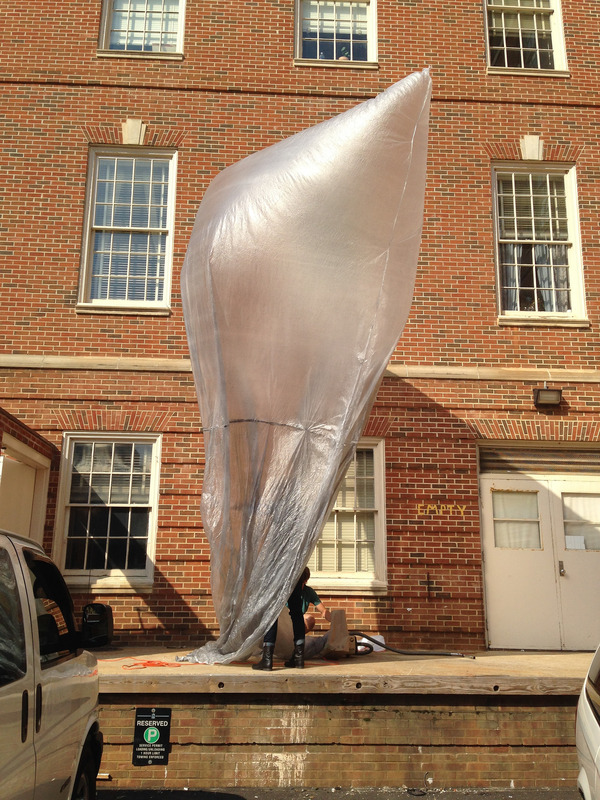 We had a record number of successful solar balloon launches this fall: a total of three! Two of these balloons carried messages in bottles (in case they landed in water) and one just carried a handwritten note. Unfortunately, no one has come across our messages as of now. I suspect this means the bottles came down on land somewhere. Probably some hunter will come across one two decades from now. We’ve been using paint pigment to darken the balloons – it’s pretty labor intensive because you have to rub the powder into the plastic. As a result, these balloons were not dark enough and so had pretty bad lift. Our newest bag (currently under my desk in my graduate student office) is quite a bit darker, and I might give it a once over before I try and send it off. It’ll be carrying a tracker and a camera, so we’re waiting on light winds before flying. Thankfully my friend didn’t film the street crossing, because I thought there was going to be a solar balloon/car collision for sure. 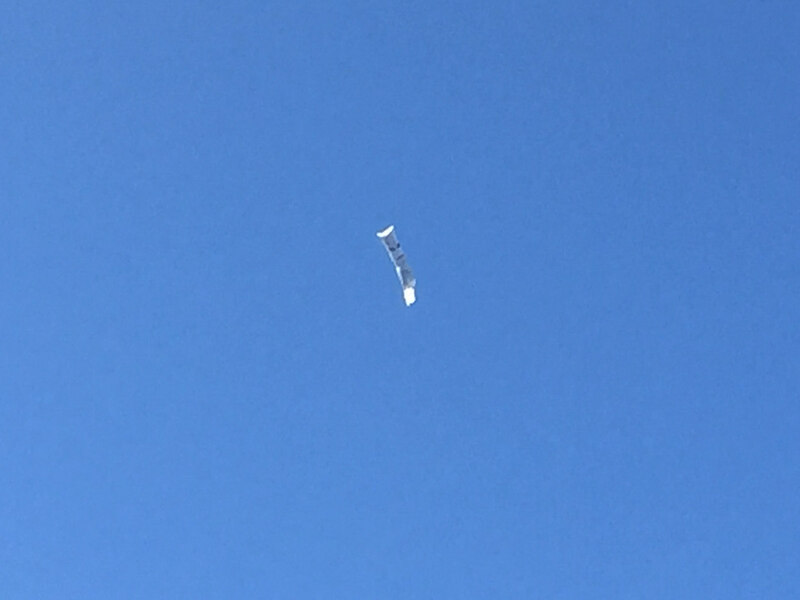 Students walking by were pointing and asking if it was a weather balloon. Hardly! The pillowcase being inflated using vacuum cleaner exhaust. 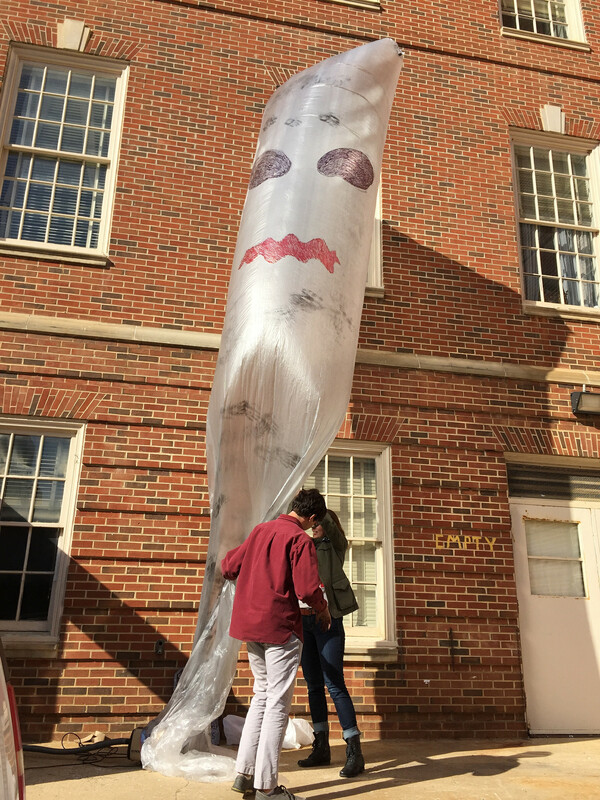 What could be better than a paint dropcloth ghost hovering ominously over your town on Halloween? I sealed the bag in record time (about 20 minutes) simply by unrolling a swath of paint dropcloth and ironing each edge together to make a cylinder. Then we drew a scary ghost face on it, scrubbed some pigment on the plastic, and waited for Halloween. Initially, we had a styrofoam tombstone as payload. But the tombstone was too heavy, so we ended up just attaching a note and launching. Because the bottom of the balloon was so poorly ballasted, the whole thing cavorted around in midair quite a bit, even turning sideways a couple of times. Due to calm winds near the surface we had quite a few witnesses. Haunting Chapel Hill on Halloween 2014. A big thanks to Xiao Yang for taking photos and video! See his Flickr albums here.